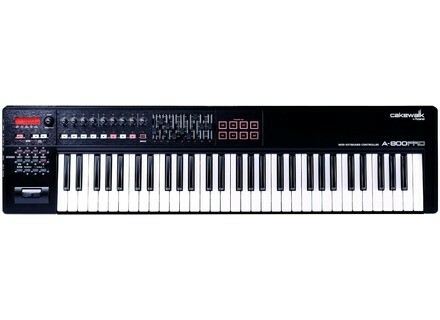 A-800PRO, 61-Key MIDI Keyboard from Cakewalk. Cakewalk announced the launch of the A-PRO Series of USB MIDI Controllers for Mac and PC. The A-300 Pro, A-500 Pro and A-800 Pro are a brand new line of keyboard controllers developed in conjunction with Roland. Check out www.cakewalk.com for more details. [NAMM] Akai APC 20 Ableton and Akai Professional have announced the APC20, Akai Professional's second dedicated controller for Ableton Live. [NAMM] Applied Acoustics Systems 64-bit VST Plugins Applied Acoustics Systems has announced the upcoming release of native 64-bit VST plug-ins for its Professional and Session Series instruments on Windows 7 and Vista. [NAMM] Cakewalk FA-66 FireWire Audio Interface Cakewalk has announced the launch of the FA-66 FireWire Audio Interface for Mac OS X and Windows.